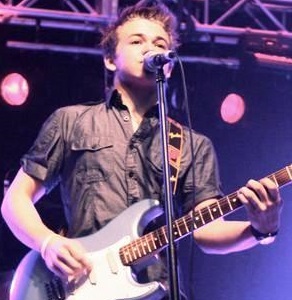 Hunter Hayes (born 1991 in Breaux Bridge, Louisiana) is an 18 year old Singer-Songwriter. He recently signed a publishing deal with Universal Music Publishing Group in Nashville, TN. A cajun music sensation since the age of two, he is considered a prodigy as an accomplished diatonic accordion player, as well as an exceptional guitar player and master of nearly a dozen other instruments. Hunter Produces and records in his home studio for himself as well as many other artists. He's made numerous appearances on national TV, has been in several movies and has performed for the President on two occasions. A youtube clip of a very young Hunter performing Jambalaya with Hank Williams Jr. has been viewed over nine million times. The high school graduate now balances daily songwriting and continued performances which keep him busy at events worldwide. His latest CD "Songs About Nothing" was recently released independently and features Hunter's unique new style of writing and producing.